1. 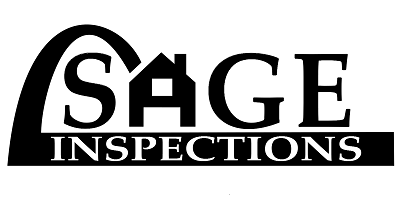 Client requests a visual inspection of the structure identified at the above address by Sage Inspections, LLC, hereinafter collectively referred as the “Company” and Client hereby represents and warrants that all approvals necessary have been secured for the Company’s entrance on to the property. 2. Client warrants that (a) Client has read this Agreement carefully, (b) Client understands the Client is bound by all the terms of this Agreement, and (c) Client will read the entire Inspection Report and follow every recommendation for repairs, maintenance, safety or further evaluation by a specialist. Furthermore, Client agrees that if such action is not undertaken and documented that the Company shall be held harmless for any subsequently alleged defects or deficiencies regarding that specific component/system or condition. Client understands that the inspection and the Inspection Report are performed and prepared for Client’s sole, confidential use. Client agrees that Client will not transfer, disseminate or otherwise disclose any part of the Inspection Report to any other persons. The ONLY exceptions to this non-disclosure are as follows: (a) one copy may be provided to the current Seller (b) one copy may be provided to the Real Estate Agent directly representing Client and/or Client’s lending institution for the use in the Client’s transaction only. (c) one copy may be provided to the Attorney directly representing Client. IN THE EVENT THAT ANYONE OR ANY ENTITY CLAIMS DAMAGES AS A RESULT OF THE RELIANCE UPON THE INSPECTION REPORT, AND SEEKS RECOMPENSE FOR SAID DAMAGES FROM THE COMPANY, Client agrees to indemnify, defend, and hold Company and/or Inspector harmless from any third party claims arising out of Client’s unauthorized distribution of the Inspection Report, including, but not limited to, any claims caused by the alleged negligence, breach of contract, fraud, misrepresentation, or any other theory of liability of the company. Code or Zoning Violations/ Permit Research/ Building value appraisal/ADA compliance/ Repair cost estimates/ System or component installation/ Adequacy of efficiency of any system component/ prediction of life expectancy of any item/ Latent or concealed defects/ Structural, geological, soil, wave action or hydrological stability, survey, engineering, analysis or testing/ Soil condition/ Termites or other Wood Destroying Organisms, rodents or other pests/ Dry rot or fungus or the damage from or relating to the preceding/ Asbestos, radon gas, lead paint, mold, urea formaldehyde, toxic or flammable chemicals, water or air quality, PCB’s or other toxins, electro­magnetic fields, underground storage tanks, proximity to toxic waste sites, Sick Building Syndrome or other environmental or health hazards/ Spas/ hot tubs/ Swimming pools/ Saunas/ Steam baths/ Fountains or other types of or related systems or components/ Water softener or purifiers/ Private water or sewage systems/ Seawalls, docks, davits, boat lifts or other marine equipment/ Radio controlled devices/ Telephone and cable television wiring and service/ Automatic gates/ Elevators/ Lifts/ Dumbwaiters/ Thermostatic or time clock controls/ Radiant heat systems/ Furnace heat exchanger/ Solar heating systems/ Heat pump recovery units/ Gas appliances such as fire pits, barbecues, heaters, lamps, and pool heaters/ Main gas shut off valve/ Gas leaks/ Seismic or hurricane safety/ Flood zone determination/ Previous flood history/ Boundaries/ Easements or right of way/ Freestanding appliances and buildings and sheds/ Security system/ Fire safety/ Sprinkler Systems/ Low voltage and landscape lighting systems/ Personal property/ Items specifically noted as excluded in the inspection report/ Odors & noise or any adverse condition that may affect the desirability of the property/ Proximity of railroad tracks or airplane routes/ Unique or technically complex systems or components. If inspection is desired in any of the areas/items, systems or components listed above, then Client shall contact the appropriate professionals. (Some of the above items may be included in this inspection for additional fees-check with your inspector). If your inspector recommends consulting other specialized experts, client must do so at client’s expense. 6. CLIENT UNDERSTANDS THAT THE INSPECTION AND THE INSPECTION REPORT DO NOT, IN ANY WAY, CONSTITUTE A/AN: (1) GUARANTEE, (2) WARRANTY OF MERCHANTABILITY OR FITNESS FOR A PARTICULAR PURPOSE, (3) EXPRESS OR IMPLIED WARRANTY, OR (4) INSURANCE POLICY. ADDITIONALLY, NEITHER THE INSPECTION NOR THE INSPECTION REPORT IS SUITABLE FOR ANY REAL ESTATE TRANSFER DISCLOSURES THAT MAY BE REQUIRED BY LAW. 7. The written report to be prepared by Company shall be considered the final and exclusive findings of Company of the structure. Client understands and agrees that Client will not rely on any oral statements made by the inspector prior or subsequent to the issuance of the written Inspection Report. Client further understands and agrees Company reserves the right to modify the inspection report for a period of time that shall not exceed two business days after the inspection report has first been delivered to the Client. (1) for any loss occasioned by malfeasance or misfeasance in the performance of the services under this Agreement, (2) for any loss or damage sustained through burglary, theft, robbery, fire or other cause, or (3) for any liability on the part of the Company by virtue of this Agreement or because of the relationship hereby established. If there shall, notwithstanding the above provision, at any time be, or arise, any liability on the part of the Company by virtue of this Agreement, or because of the relationship hereby established, whether due to the negligence, omission, breach of contract, misrepresentation of the Company or otherwise, such liability is, and shall be limited to, a sum equal to the price charged for the inspection service, which sum shall be paid and received as liquidated damages. Such liability is herein set forth as liquidated damages and not as a penalty, and this liability shall be complete and exclusive. THE COMPANY MAKES NO WARRANTIES, EXPRESS OR IMPLIED, AND ANY SUCH WARRANTY IS SPECIFICALLY EXCLUDED AND DISCLAIMED. 9. DISPUTES: Client understands and agrees that any claim for failure to accurately report the visually discernible conditions at the subject property, shall be made in writing and reported to the inspector within ten business days of discovery. Client further agrees that, with exception of emergency conditions, Client or Client’s agents, employees or independent contractors will make NO alterations, modifications or repairs to the claimed discrepancy prior to a re-inspection by the Inspector. Client understands and agrees that any failure to notify the Inspector as stated above shall constitute a waiver of any and all claims for said failure to accurately report the condition in question. 11. Any legal action, including the arbitration proceeding more specifically described above, including, but not limited to, those proceedings involving claims sounding in tort or contract, against the Company, or its officers, agents or employees, must be brought within one (1) year from the date of the inspection, or same will be deemed waived and forever barred. Time is expressly of the essence herein. This time period may be shorter than otherwise provided for by law. It is agreed and understood that the arbitrator, in rendering any decision above, is to apply the laws of the State of Missouri. prevailing party in any dispute arising out of this agreement, the inspection, or Report(s) shall be awarded all reasonable attorney’s fees, arbitrator fees and other costs. 13. Client understands and agrees that if he or she is not present at the time of the inspection or do not sign this Inspection Agreement that this Agreement will become part of the Inspection Report, and therefore delivery of the Inspection Report to the Client (by mail, in person or via internet) will constitute acceptance of ALL the terms and conditions of this Agreement. 14. SEVERABILITY: If any portion of this Agreement is found to be invalid or unenforceable by any court or arbitrator the remaining terms shall remain in full force and effect between the parties. 15. PAYMENT:Payment is expected when the report is delivered. A 10% late fee (per month) will be charged for all late payments. All costs, including but not limited to, collections, liens & legal fees to recover past due payments will be added to the customer final bill. A $50.00 fee will be added to all returned checks. 16. ENTIRE CONTRACT: This Agreement represents the entire agreement between the parties. No oral agreements, understandings or representations shall change, modify or amend any part of this agreement No change or modification shall be enforceable against any party unless such changes or modifications are in writing and signed by the parties. This Agreement shall be binding upon and inure to the parties hereto and their spouses, heirs, executors, administrators, successors, assigns and representatives of any kind whatsoever. I have read, understand and agree to all the terms and conditions of this contract and to pay the fee listed above.